This state-of-the-art, kid-friendly learning center, located in Rockefeller Center, presents a fire safety presentation in which adults and children alike are taken through a simulated fire experience. At FDNY Fire Zone, learn how fires get started and how to escape a fire if it happens. Try on bunker gear, feel a "hot door" and crawl to safety through a smoke-filled hallway. You will also learn about New York City’s world-renowned fire department from one of New York’s Bravest. 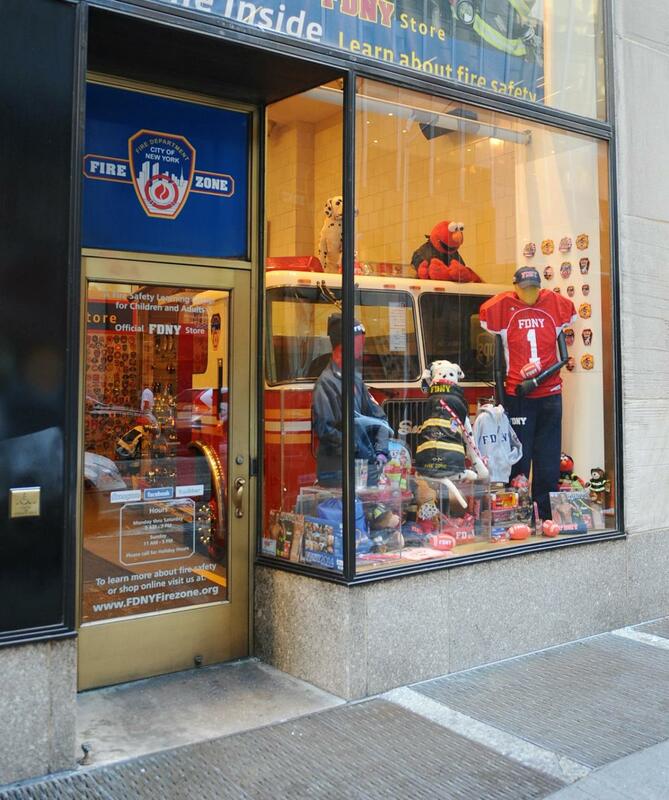 The gift shop, run by the FDNY Foundation, is the official store of the FDNY, offering licensed Fire Department merchandise, including T-shirts, job shirts, jackets, hats, toys, collectibles and souvenirs.